This newly arrived two bedroom lodge has recently been sited on our new lodge development this area overlooks the valley and affords stunning views. It is also located near to our nature trail where deer and barn owls along with many other wildlife can be viewed and enjoyed. The Ambleside Premier Lodge is simply described as stunning, this holiday home has it all in abundance. It is residential spec, it has canexcel cladding with golden oak double glazed Windows and doors with matching gutters and down pipes. This holiday home is fitted with washing machine, dishwasher, microwave, fridge freezer, front doors and has bedding packs. The extra width that you get with the premier upgrade gives you fourteen feet width that makes the unit feel enormous. The extra space makes all the rooms so spacious and accommodating and allows for ease of access throughout the holiday home. This lodge is fitted out to a very high standard that we don't think you can beat. The lounge are is very spacious with two free standing sofas, there is a beautiful set of dining furniture located behind the lounge area that leads to the huge kitchen area that is well equipped with all mod cons as mentioned above and also benefits from lots of worktop space. Beyond the kitchen are the two bedrooms that a large and roomy as you would expect from a large lodge there is a lovely shower room off the hallway with shower, toilet and hand basin. Then onto the master bedroom that has its own en-suite with toilet, hand basin and shower and also has a walk in wardrobe so no excuse that there's not enough space. This lodge offers pure luxury with everything you could need. 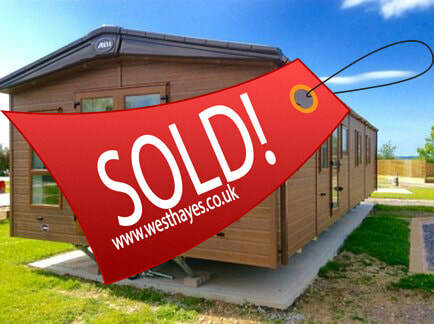 But we don't stop there, we also include in the cost, delivery, connection, siting, caravan skirt, outside tap and electric point, digital arial, Tarmac parking and a massive matching UPVC balcony that will wrap around two sides and the front so as to make the most of the sunshine. This lodge is located in the new development adjacent to a large raised flower bed.